Join us in the 4th World Ecotourism Conference 2012 in South Korea. It is going to be the most important conference ever as ecotourism plays a role in promoting transfrontier peace. I wish to thank all Sponsors especially Tourism Malaysia, distinguished Keynote Speakers, Invited Speakers, Academic Presenters, Suppliers, Volunteers and Delegates who came near and far from 45 countries, contributing to the success of this Conference. I hope that all of you had excellent networking and with the new found friendships. With the enthusiasm for cooperation and collaboration arising from this gathering, I look forward to meeting all of you again at WEC2011, and together we strive to move forward. My heartfelt appreciation goes to H.E. Dr Taleb Rifai, Secretary-General of UNWTO as well as to Mr Xu Jing, UNWTO Representative for Asia and The Pacific and H.E. Datuk Dr Victor Wee, UNWTO Programme Committee Chairman, without whom this Conference would not have reached this level of global acceptance and success. I am also most grateful to the hosts, the Government of Malaysia, H.E. Dato' Seri Najib bin Tun Abdul Razak, Prime Minister of Malaysia for his intervention and support, H.E. Dato Seri Dr Zambry Abd Kadir, Chief Minister of Perak who officiated the Opening together with YB Dato' Dr Awang Sidek bin Husin, Deputy Minister of Finance and YBhg Dato Dr Ong Hong Peng, Secretary-General, Ministry of Tourism, Malaysia. The debut peer reviewed academic session which attracted ecotourism researchers from countries as far as France and Germany was a great success; thanks to the untiring efforts of Prof Amran Hamzah of Centre of Innovation, Planning and Development (CIPD), Universiti Teknologi Malaysia and his team. Prof Trevor Sofield from the University of Tasmania, Australia chaired the plenary sessions and wrapped up the conclusions of WEC2010 excellently. 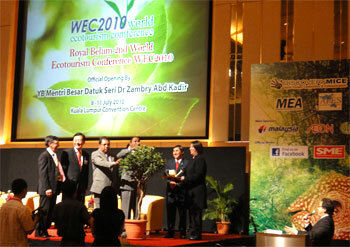 Once again to all delegates, thank you for attending WEC2010. Do invite your colleagues, associates and friends for WEC2011, as WEC is set to be the most important networking event "movers and shakers" in the global ecotourism fraternity. The host and venue for WEC2011 will be announced soon. From Left: Prof. Trevor Sofield, Conference Chairman; H.E. Datuk Dr Victor Wee, Chairman of UNWTO Programme Committee; YB Dato Dr Awang Adek, Deputy Finance Minister; YAB Dato Seri Dr Zambry Abd Kadir, Chief Minister of Perak; YBhg Dato Dr Ong Hong Peng, Secretary-General, Ministry of Tourism, Malaysia. TELUK INTAN: Perak is planning to put its Royal Belum tropical rainforest on the world map for eco-tourism during an international conference in July. Mentri Besar Datuk Seri Dr Zambry Abd Kadir said the state would officially launch the Royal Belum’s eco-tourism industry during the three-day World Eco-Tourism Conference in Kuala Lumpur on July 8 to 10. “The conference will also be renamed as the Royal Belum Eco-Tourism Conference,” he told reporters after chairing an executive council member meeting here yesterday. Conference Convenor Lee Choon Loong said the name of the conference was changed to elevate the status of Royal Belum tropical rainforest into a world-class eco-tourism spot. 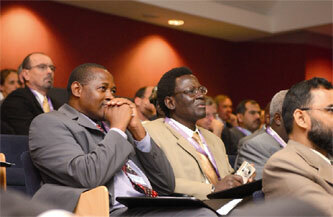 “About 400 participants from 40 countries will take part in the conference. “Promoting Royal Belum will be our main priority during World Tourism Day in September,” said Lee, who is also Malaysian Ecotourism Associa-tion secretary-general. 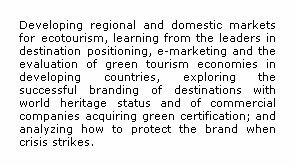 Lee said the conference was also a platform to promote other eco-tourism spots that had yet to gain recognition. 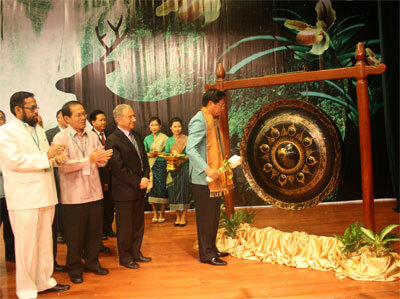 Laos hosted the conference last year. The World Ecotourism Conference is an ambitious initiative to bring global ecotourism players together to network, collaborate and share their experiences, best practices and technologies for the betterment of nature conservation, environment protection, preservation of communities and consequently the advancement of ecotourism around the world. A key objective of WEC is to support host countries that are in need of a global platform and leverage to champion, position or support ecotourism policies and initiatives that will bring transformational changes for the betterment of their economies, people or environment. Each and every peer participant would be recognised for their collective intellectual and moral support to this not-for-profit common cause. 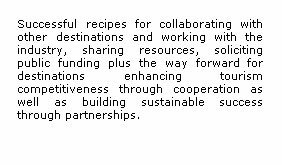 The forthcoming 2nd World Ecotourism Conference 2010's (WEC2010) theme is "Urban Ecotourism & Biodiversity Hotspots in Developing Countries: Shifting Paradigms and Strategic Adaptations". Besides discussing the impact of climate change and adaptation on ecotourism and the need for a paradigm shift resolution, topics include other equally critical issues. The Conference has taken into consideration of affirmative actions in the Vientiane Declaration for Ecotourism particularly capacity building and role of academia as well as the empowerment of youth and women in organising this Conference. Urban Ecotourism & Responsible Travel in Developing Countries: Shifting Paradigms and Strategic Adaptations. To provide a global overview of ecotourism around the world, the results and outcomes of various international ecotourism conferences will also be invited to be presented at the World Ecotourism Conferences. Examples of developing areas given special emphasis are The Greater Mekong Sub-region (GMS), the Indonesia-Malaysia-Thailand Growth Triangle (IMT-GT), the Indonesia-Malaysia-Singapore (IMS-GT) Growth Triangle and the Brunei Darussalam- Indonesia - Malaysia -Philippines - East ASEAN Growth Area (BIMP-EAGA). The 2010 World Ecotourism Conference, with the contribution, support and enthusiasm of committed partners, will provide an exciting and engaging forum for discussion of current issues, solutions and best practice case studies. Get to know the Speakers and "who's who" in the ecotourism fraternity. Great networking opportunities will be engaged in a set of cultural program and technical tours. The World Ecotourism Conference 2010 is introducing a parallel track for an Academia Session in which postgraduate students, academics & researchers are given the opportunity to present their papers and posters. This novel idea is in response to the overwhelming feedback and queries from academics who felt that they could have added value to WEC2009 held in Vientiane, by presenting their latest research findings on areas related to ecotourism (Link: Vientiane Declaration on Ecotourism for Developing Countries). The Conference is held in Malaysia which has won several ecotourism awards and the individuals in the private sector have received international acclaims and accolades for their best practices in ecotourism. Malaysia is an amazing country with countless abundance of biodiversity. It is not surprising to find that 75 percent of Malaysia’s land area remains forested, with 60 percent virgin rainforest, unchanged for millions of years. The country is bestowed with numerous natural attractions such as amazing and diverse flora and fauna, white sandy beaches, exotic marine aqua life, dense rainforests and the oldest and largest caves in the world. Unlock the mysteries of Malaysia, one of the twelve mega-biologically diverse countries in the world, which boasts at least 15,000 species of flowering plants, 286 species of mammals, 150,000 species of invertebrates, and 4,000 species of fishes in addition to the countless micro-organisms. The Organisers and Supporting Partners wish to thank all who have participated in WEC2009, WEC2010 and look forward to their participation and networking again next year. From Left: Prof. Trevor Sofield, Conference Chairman; YB Dato Dr Awang Adek, Deputy Finance Minister; H.E. Datuk Dr Victor Wee, Chairman of UNWTO Programme Committee; YAB Dato Seri Dr Zambry Abd Kadir, Chief Minister of Perak; Mr Lee Choon Loong, Conference Convenor; YBhg Dato Dr Ong Hong Peng, Secretary-General, Ministry of Tourism, Malaysia. Knowing is not enough, you must apply. Willing is not enough, you must do. A new roadmap for solving Global Warming? Climate change presents the region with tremendous challenges. The Asia-Pacific Region is the world’s fastest growing region and one of the major sources of greenhouse gases, likely to be severely affected by the impact of global warming on regional economies, environment, society and the lives of ordinary citizens. The mission and aims of the new UNESCO Chair in Sustainable Urban Development in Asia and the Pacific Region are in line with the UNESCO mission and programmes: International research collaboration and capacity building, with a special focus on initiatives within the region. The forecasts of the UN Habitat Forum indicate that over 90 per cent urban growth over the next 15 years which will occur primarily in developing countries. Asia alone will account for more than half of the world’s urban population. While the Asia-Pacific Region is experiencing rapid economic growth and extensive urbanization, coupled with continued population increases, the region still faces the challenging issues of poverty and insufficient sustainable management of its urbanization processes. Many of the current developments negatively impact on natural resources and the environment through poor planning, misinformed urban design, air and water pollution and an increase in waste generation. 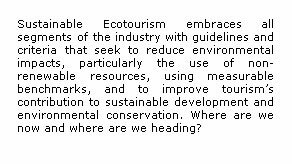 Although this Conference aims to bring global ecotourism players physically together but this is obviously not possible. Here they reach out to you with what they do for others. Across the 5 continents are these examples of responsible tourism entrepreneurs who give back to communities that they work with and respect the nature and environment that they impact on. They are ambassadors of their own world to the world. You are touched when they share with you the experiences of their rich cultures and traditions, their pristine nature and abundant wildlife ever so openly. You know that you have touched them too, by their smiles when you arrive but cry when you leave. Welcome to the World Ecotourism Conference Responsible Network. 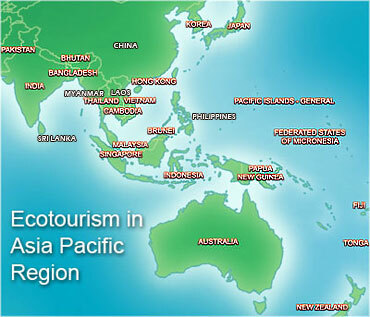 Inviting eco-tour operators and entrepreneurs .. If you are a passionate ecotourism entrepreneur, operator, caretaker or stakeholder who strives to promote and deliver quality interpretative experiences of local communities, conservation of nature and heritage or preservation of environment and cultures of your own country, all in a sustainable manner, we welcome you to join the WEC Responsible Tourism fraternity and invite you to submit your special ecotourism tours or programs for consideration to be published and promoted through this official website of the World Ecotourism Conference. Acceptance of content for publication is at sole discretion of the Organisers. Delegates from the public and private sector in the region are expected take this opportunity to strengthen collaboration in addressing social, economic and environment challenges. 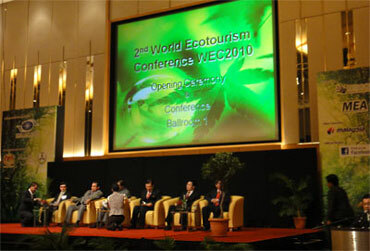 Companies in Asia, Europe and US that want to cooperate with partners in the Asia Pacific region on sustainable tourism can arrange meetings at World Ecotourism Conference 2010. Bilateral Meeting rooms are provided subject to early booking and confirmation. National Tourist Offices and National Ecotourism Associations from countries with strong ecotourism products will be invited to present their destination update on their ecotourism destinations and attractions; award-winning products, new ecotourism sites, popular eco-lodges and eco-tours as well as NTO development and marketing incentive offers. This is an excellent opportunity for both Sellers and Buyers to be part of the ecotourism suppy chain, network and build business connections. Do you have nagging issues about the rave and rant about the principles of ecotourism? Top ecotourism experts will share with you their knowledge, experiences and outlook in their professional and practical application of ecotourism in various situations and scenarios. For those in need of a reality check, this is a must-attend. How to green a hotel? Who are the green travellers? How to market green hotels? Who cares about green? These workshops are fast and straight to the point with quick and easy tips in making green work for you. * Monetize your customers environmental initiatives & contribution. * Price your green products/services comparable to existing prices. * Emphasise health and saving benefits to sustainability initiatives * Learn more at WEC2010. 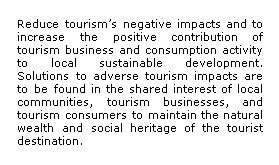 Those who wish to learn, invest, operate or contribute to the growing sustainable tourism industry. Those who wish to know about the latest information on ecotourism markets, trends and marketing strategies will find the Conference relevant and rewarding.